Sarkodie gets another accolade. 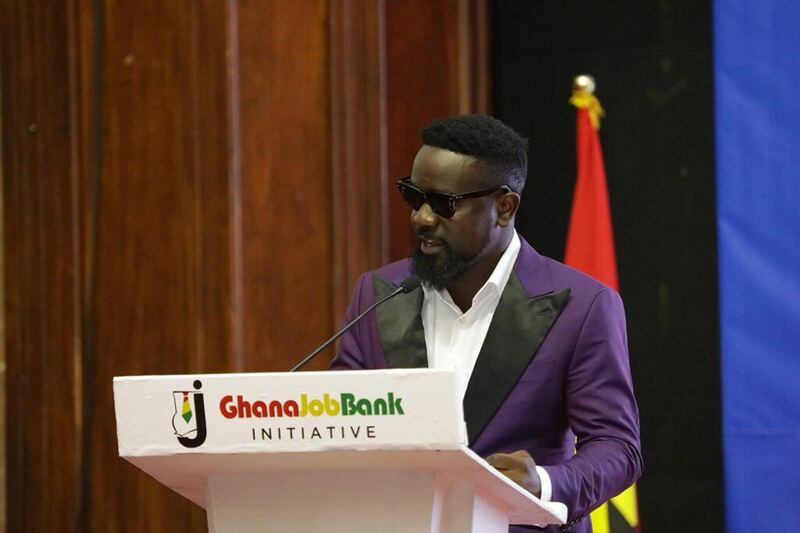 Ghanaian rapper, Sarkodie, has been honored at the launch of Ghana Job Bank Initiative. Furthermore, he got a reward for carving an enviable image. Also, for setting an incredible standard as an artiste for potential young musicians. He also promotes cultural tourism with his type of music. 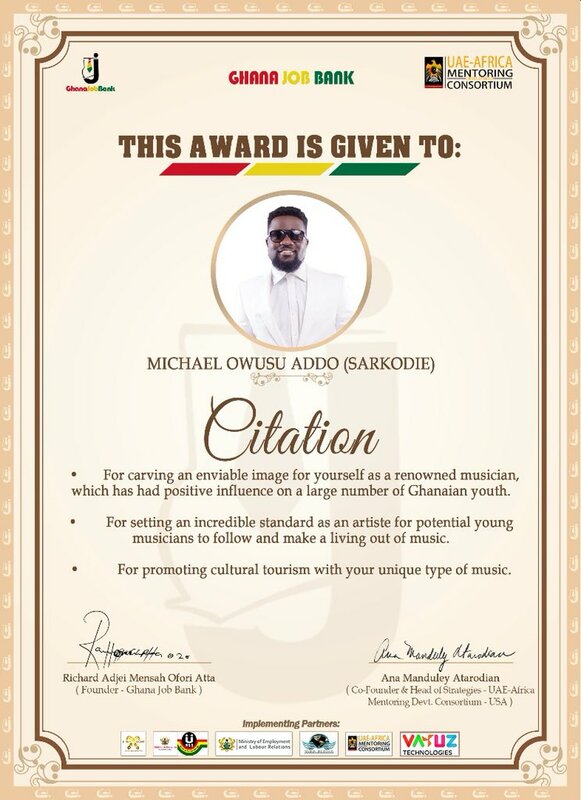 The ‘Highest’ musician received a citation which states how influential Sarkodie has been in the music industry. Richard Ofori-Atta founded the Ghana Job Bank Initiative. Moreover, he is an entrepreneur and co-founder, Godwin Attiga, an inventor and Cyber Security Analyst based in USA. The initiative seeks to provide entrepreneurial skills and provide an opportunity for an internship. Ghana Job Bank Initiative has two modules. They include Business Incubator and Smart Youth Programme. This offers training in software engineering, digital skills, cybersecurity programme and open data platform to the youth free of charge.